Once again we would like to share with you some news about Blessed John Henry Newman und our Newman-Centres. Pope Francis published the Apostolic Exhortation “Gaudete et Exsultate on the call to holiness in today’s world” on occasion of the fifth anniversary of the beginning of his Pontificate on 19th March 2018. In this profound and practical writing, he says: „The powerful witness of the saints is revealed in their lives, shaped by the Beatitudes and the criterion of the final judgement. Jesus’ words are few and straightforward, yet practical and valid for everyone, for Christianity is meant above all to be put into practice. It can also be an object of study and reflection, but only to help us better live the Gospel in our daily lives.“ (No. 109). Even if the Holy Father does not mention our great English Cardinal, it might be fitting to quote in this context Newman’s „Short Road to Perfection“: „If you ask me what you are to do in order to be perfect, I say, first -Do not lie in bed beyond the due time of rising; give your first thoughts to God; make a good visit to the Blessed Sacrament; say the Angelus devoutly; eat and drink to God’s glory; say the Rosary well; be recollected; keep out bad thoughts; make your evening meditation well; examine yourself daily; go to bed in good time, and you are already perfect.” (J.H. Newman, Meditations and Devotions, Longmans, Green & Co., London 1909, p. 286). Pope Francis would almost certainly approve of these words. During the International Congress at Venice-Mestre, organized by the Istituto Universitario Salesiano Venezia and the Pontifical Lateran University in Rome in collaboration with our Newman Centre, not holiness in daily life, but a connected theme of vital importance was the topic: holistic formation and education. Patrizia Manganaro and Michele Marchetto have in the meantime published the interesting contributions of this Congress in: Maestri perché testimoni. Pensare il futuro con John Henry Newman ed Edith Stein (Roma, Las-Lup, 2017, 393 Seiten, 27 Euro) (for your information: Book Review). Our Roman Newman Centre invited again to a Day of Recollection with John Henry Newman on 11th March 2018. You can find here Reflections on God’s Humility According to John Henry Newman which Fr Hermann Geissler FSO gave on this occasion. It is our hope that you will find some thoughts how to live our Christian vocation in daily life. Fr. Gerald Jumbam Nyuykongmo presented the publication of his persuasive thesis A Laity Who Know Their Religion: The Theological Education of the Laity in John Henry Newman (Demdel, Edition Faith and Culture, Arlon 2018, (Link)) in our Roman Newman Centre on 15th June 2018. All Christians are called to holiness and they have to know their faith in order to live, explain, defend and spread it into today’s world. It gives us joy to tell you that our Roman Newman Centre is again open for students and Newman friends. They necessary renovation work has been completed to our great satisfaction. Come and see! Our homepage www.newmanfriendsinternational.org contains a large Newman bibliography which is regularly updated, many Newman texts and reflections on Newman’s life and his works as well as information about the activities about our Newman Centres. Prof. Paul Veyriras passed away on 12th January 2018 at the age of 91. He had been the co-founder of the French Newman Assocation and for many years editor of the Études Newmaniennes. The American Newman and scholar Don Briel died on 15th February 2018. He had taught many passionately about Newman and inspired them to do the same. May they and all departed Newman-Friends rest in God’s peace. 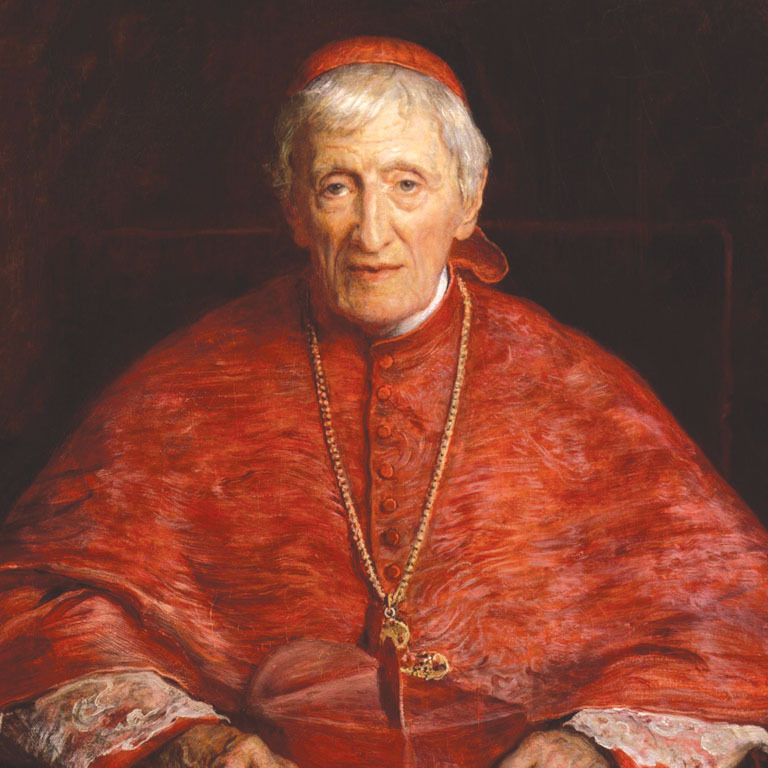 John Henry Newman transmitted to us not only astounding texts about our vocation to holiness. His true greatness was that he himself led a holy life. 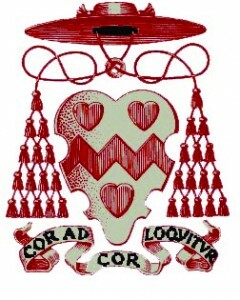 Pope Benedict XVI. beatified him on 19th September 2010 during a memorable celebration in Birmingham. We invite you and your friends to continue to pray that he will be counted among the Saints soon! The General Data Protection Regulation (EU-DSGVO) was enacted on May 25, 2018. Our website follows these new rules. We therefore communicate to you our data protection policy. As before, we would gladly send you a gratuitous yearly Newsletter to inform you about John Henry Newman and our Newman work. However, we are legally obliged to ask you now for your consent to retain your e-mail address in our distribution list. Please, let us know through a short (informal) e-mail if you would like to receive the newsletter in the future. Let us know as well if you would like to discontinue our communications.